For most of Indie Month, we’ve been doing big-picture kinda deals– looking at two talented and prolific developers, and examining some elements of the “genre” as a whole. We thought we’d close by looking at what makes indie games really exciting: the huge breadth and variety of available experiences, and the huge number of them that are free. There’s no excuse for not playing these. They’re generally pretty short, almost effortless to get a hold of, and every one of them has something inspiring or original about it. Go forth, and remember that we live in a pretty exciting time for the medium. Edmund McMillen makes games that are creative and sharp, but have a tendency to be muddled in tone. 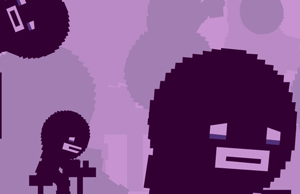 Super Meat Boy was a great masocore platformer which eventually turned into visually uninteresting levels full of buzzsaws. The Binding of Isaac is fantastic, and probably his best work (god knows we can’t stop playing here at the CV “offices”), but its moody atmosphere and dark humor evaporate every time a stupid meme reference or rage face pops up. Time Fcuk does not have these problems. It’s a tightly-bound puzzle-platformer that maintains a bleak, dread-drenched tone from start to finish. 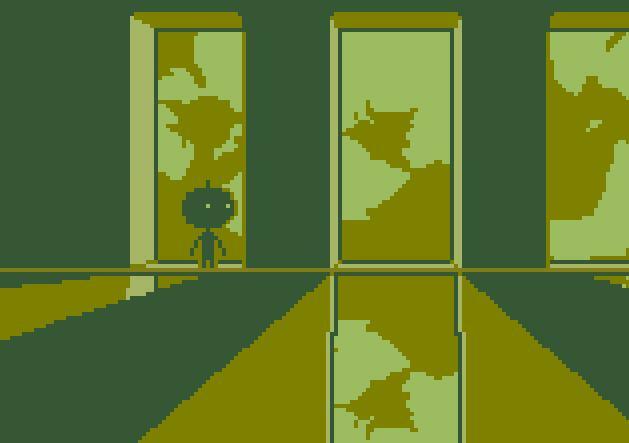 From the moment you enter The Box– stepping into the time loop that you’re trapped in –the game sinks into a deep melancholy. Its monochrome level design, atonal soundtrack, and stellar sound all give it a hopeless feel. In a genre where every game seems to want to imitate Portal, going for more of a Silent Hill vibe is a pretty daring choice. It’s also one of the only McMillen (and co.) games where the writing really shines. Throughout the game, you’ll get communications from yourself in the past and future. However, as you spend more time adrift, going more and more mad from the isolation and puzzles, the “yous” in various points in time start to fracture and change. Partway through the game, it becomes ambiguous if you’re even yourself or playing as a doppelganger. There’s not much plot to speak of, but the writing is sharp throughout and contributes to a great sense of building horror at your situation. The game gets a lot of beauty out of three colors. slightly philosophical themes. And while that doesn’t make it bad— the gameplay is solid all the way through, the Gameboy-style graphics are cool, and the music’s excellent– where it really shines is how much it plays with that formula. Every couple levels, the game adds another seemingly-arbitrary rule that will instantly kill you if broken: don’t touch blocks from the sides, don’t touch certain blocks, no backtracking, et cetera. What makes the game so smart and interesting is that, taken together, all these really mean is “get better at platforming.” Every rule just means you need to be more precise in your jumps, avoid obstacles, keep moving forward, and evade enemies– the same basic constraints all platformers put you under. The end result feels incredibly pure and focused in a way a lot of ultra-hard platformers don’t. Just as the game works with an intensely reduced color palette smartly applied, the core mechanics are all about taking the unspoken rules of platforming and giving you absolutely no room for error, and building an entire game out of these rules. It takes an entire game’s worth of planning and risk to get that gun. It’s worth it. (which we didn’t mention under the assumption that you’ve heard of them, and if you haven’t, well, you have now, so go download them immediately). It deserves that profile– it’s a staggeringly fun action game with great vector-style graphics (think Another World) and a damn good central story. The story’s where it really shines, although the combat, fleshed-out RPG elements, and Metroidvania-ish level design are all pretty stellar as well. It puts you as a survivor of an alien attack, cybernetically augmented and fighting to drive out the invaders. This is all pretty rote stuff, but the game keeps track of your choices and gives you real input into the narrative in a way action games usually don’t. 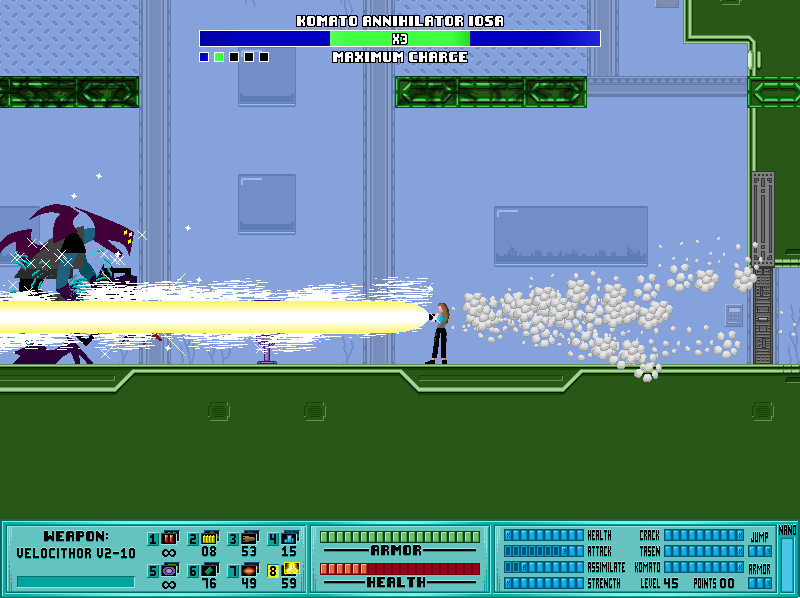 A no-kill run will result in some enemies trying to be peaceful and helping you, whereas playing more aggressively will gradually turn the protagonist into a bloodthirsty wreck incapable of mercy. The change– from hearing Iji shriek when hurt and whimper after killing an enemy in self-defense to hearing her howl with rage or laugh when catching enemies in traps –is heartbreaking and guaranteed to make you want multiple playthroughs. It does a better job of making you feel sorry for your enemies than any other game we’ve seen. There’s tons of easter eggs hidden in the story as well– careful planning can save the lives of certain characters, different skill focuses can make boss fights and areas skippable, and it’s possible to go through the whole game with a clean conscience if you’re very, very careful. And, as said, the gameplay is a beast. It’s fast and frenetic, with gigantic weapons, hoverbike chases, colossal boss fights, and a detailed and beautiful world. Taken together, the game feels like some bizarre hybrid of Metal Slug and Shadow of the Colossus.